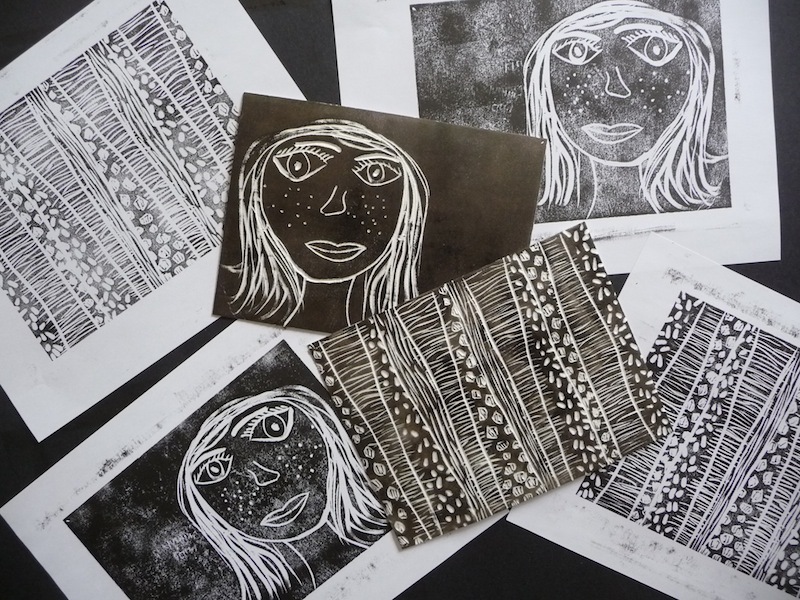 Scratch Foam makes it possible for kids to learn about printmaking in a fun and easy way. 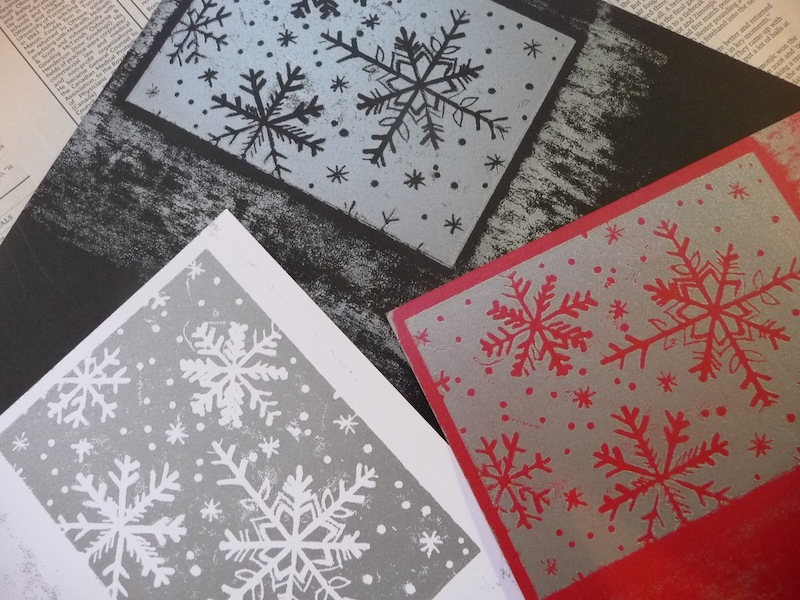 Turning the prints into cards allows them to showcase the cool results, and learning about snowflakes is a great way to start things off. 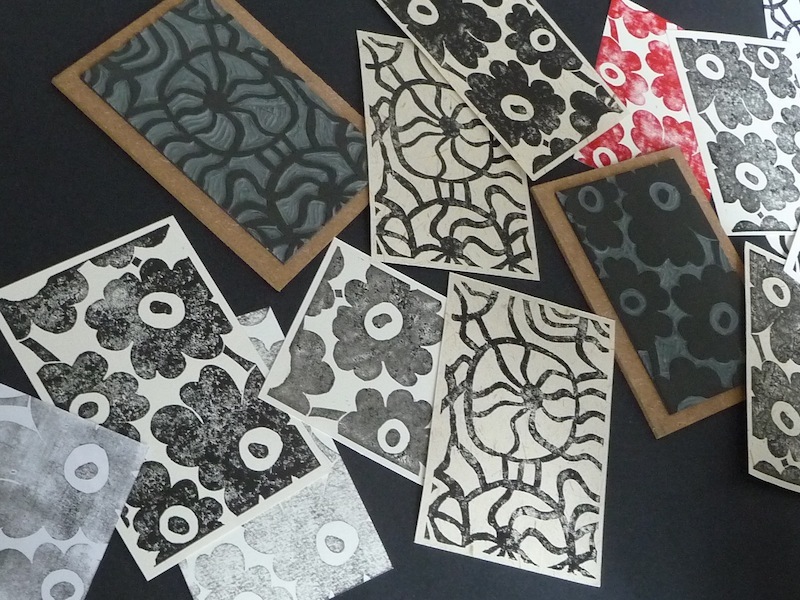 Scratch-foam boards are an amazing, safe way for younger children to experience printmaking. No special tools are required, and the results are soooo cool. I’ve loved Marimekko fabrics since highschool, when I purchased a wonderful black and white striped fabric to make pillows for my room. Their bright, bold graphics were stunning, and unlike anything I had seen. So of course I was thrilled to see Marimekko, With Love, currently on at The Textile Museum Of Canada. Room after room of fabrics, products and images tell the story of the company’s history and its recent revival, teaming up with the likes of Crate and Barrel, Converse, and Finnair planes, where their iconic poppy can be seen flying through the sky. There’s a wonderful simplicity to their designs, which makes them ideal for exploring the linocut printmaking technique.